When purchasing paints, choosing the colour is the most important decision one has to make, given that it has to fit the application. Selecting the gloss level is another difficult task as it can impact the final paint finish. There are some standard applications for each different level of gloss, which generally simplifies the decision. However, a complete understanding of these differences can help you make the best selection for your painting project. In the painting industry, gloss is measured on a scale from ‘0’ to ‘100’, with ‘0’ being no gloss and ‘100’ being perfectly mirror-like. 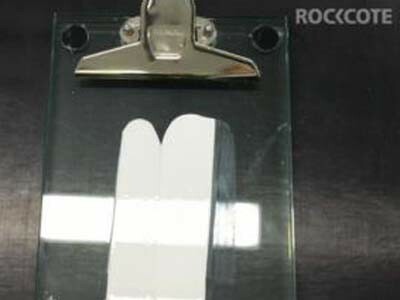 The industry standard is to measure this gloss level when painted onto a glass surface. Therefore, actual gloss levels on standard substrates would be lower than stated when used on a project. These gloss levels are measured at different angles depending on the gloss level that is sought to be achieved (including 20°, 60° or 85°). This is based on the angle of sight that the painted surfaces would normally be seen. For example, flat paints are measured at 85° as they are often used on the ceiling, while gloss paints are measured at 20° as they are normally seen straight ahead such as on doors. An ultra-flat paint would have a gloss level of ≤1 and a degree of gloss measurement of 85°. A high gloss paint would have a gloss level of >80 and a degree of gloss measurement of 20°. Please refer to the table. Resistant to stains and dirt, with easy cleaning properties, gloss paints are recommended for use on roofs, doorways, door frames and window frames. The downside of using gloss paints is that imperfections show up very easily on the surface, making them unsuitable for broad walls, ceilings and external walls of high rise buildings. Ultra-flat and flat paints hide imperfections on the surface to provide a more professional looking finish on large surface areas. Ideal for use on ceilings and exterior walls with large, flat surface areas, ultra-flat and flat paints are not as easy to clean as gloss paints, and are therefore, not recommended in areas that may collect stains and dirt. For interior walls, low sheen is the ideal gloss level as it provides an aesthetically pleasing finish that assists to hide minor imperfections, while also providing a higher level of washability than flat paints. ROCKCOTE Premium Ceiling White is a trade ceiling paint from Rockcote Enterprises featuring an ultra-flat gloss level of ≤1.0 at 85° that exhibits exceptional hiding power with fantastic brushability, less roller splatter, and exceptional flow. One of the lowest gloss level ceiling paints on the market, Premium Ceiling White also has a low gloss level at 60° of 2.2. Refer to the table for a quick guide to the ROCKCOTE finish paints, gloss levels and their ideal locations for use.